This scenario actually happened in 1940 to Roberto Assagioli, M.D., the visionary founder of psychosynthesis, under Italy’s fascist government. 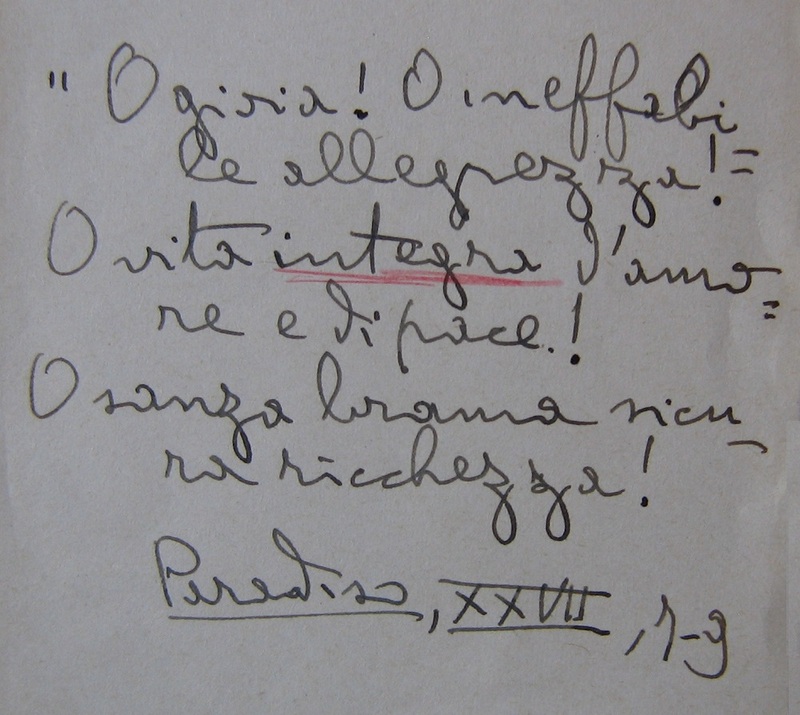 He describes later in a letter to friends that he was accused of praying for peace and inviting others to join him, along with “other international crimes.” Assagioli was subsequently kept prisoner in Rome during the hot month of August and finally released through the intervention of influential friends. 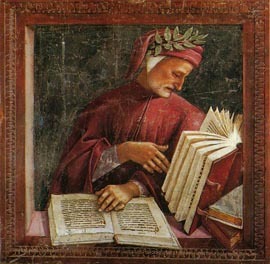 Assagioli would later explicitly refer to Dante’s Divine Comedy as a “great symbolic and spiritual poem” and “a perfect example of personal and transpersonal psychosynthesis.” He recommends that we read it, using its symbols to interpret our own journeys through Hell, up the mountain of Purgatory and beyond into the light of Paradise. Certainly, we don’t need to get arrested before delving into this epic work! Instead we might want to begin with a good translation (like Mark Musa’s), a quiet heart, and an open and curious mind. Reading the Divine Comedy with a small group is also a powerful psychosynthesis exercise, as we not only have Dante’s symbolic language to reflect upon, but also the interpretation of his symbols by others. Once you begin reading, you will hopefully embark on a pilgrimage with Dante into discovering your own inner freedom. After all, the poem has proven to be a mighty presence – helping to change a jail cell into a spiritual retreat and aiding one man to radiate a “psychospiritual powerhouse” of compassionate Love. Assagioli, R. (2000). Psychosynthesis. A Collection of Basic Writings, Amherst, Massachusetts: The Synthesis Center, Inc.
den Biesen, K. & Lombard, C.A. (March 2015). “Into the Hidden Things He Led My Way…A Psychosynthesis view of Dante’s Inferno,” Psychosynthesis Quarterly, Vol 4:1, pp. 15-20. Giovetti, P. (1995). Roberto Assagioli. La vita e l’opera del fondatore della Psicosintesi, Roma: Edizioni Mediterranee, 1995. Lombard, C.A. (September 2012). “Meeting at the Well Spring,” Psychosynthesis Quarterly, Vol 1:3, pp. 35-43. Schaub R. & Schaub, B. G. (1994). 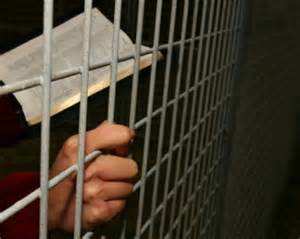 “Freedom in Jail: Assagioli’s Notes,” The Quest, pp. 56-57. Reprinted in the Psychosynthesis Quarterly, Vol 4:1, March 2015, pp. 30-31. There is an echo here, a connection with something deeper. For me, thinking of the time that Assagioli experienced this rich knowing of the Prescence, ties in with the atrocities that many were experiencing in the Death Camps of Nazi journey. Viktor Frankl, more specifically, comes to mind. Although a very different experience, both men found deep and profound meaning from their incarceration. I am minded to properly read Dante’s Divine Comedy again. It has been a long time. And I wonder that age, and a fresh perspective might open my inner self to a deeper and clearer understanding of the symbolism of his work. Thank you. I enjoy the open, honest style of your writing. Dear Mandy, Thank you again for your thoughtful comments. You might want to take a look at the articles I co-authored about reading Dante from a psychosynthesis perspective. Go to About Catherine/Articles and you will see links to the articles there. Enjoy!